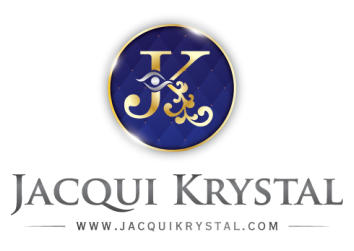 Jacqui’s natural abilities have been passed through family generations and highly inspired by her Mother. Fortunately Jacqui had been born to a mother whom enjoyed everything psychic and from her teenage years forth, she was “dragged along” to many psychic fairs where increasingly she tired of hearing about it, and, preferring to be part of it, started to give readings to her mother’s friends and others for “fun”. Her ability at this time to identify “secrets no-one else knew” and “impossible” predictions were uncanny, including babies coming through when medically impossible and some most guarded events and affairs. At age 19, Spirit “came through her” and she understood there was more to it than prediction work, which enthused her. However, her head was invested in her degree and music career for many years and it was not until after she quit her record deal (2003), that she heard a Spirit voice tell her it was now time to work professionally. She did not question it, and since then has not only worked professionally as a reader in Australia, Europe and NZ, but has also created the worlds first Destiny Board , facilitated courses and trained in many systems of healing and self care coaching. She has produced a meditation CD, often working as a meditation guide for groups. Her guides instill in her that her work is to evolve humanity, connecting, inspiring and healing them via Spirit guidance and direction. She follows this aim in all her readings, and most enjoys Medium-ship, where she connects clients with deceased loved ones and the Spirit World. Her reading style is direct, gentle, open, honest and interactive. "It's always at least a 3 way street; Spirit, the client, and me. I love this link up and Spirit World and I do ‘our best’ to really connect with our client each time... To witness this enduring love, the sheer beauty of our loved ones commitment…it never ceases to amaze me!" says Jacqui (JK). Based in coastal Batemans Bay (NSW, Australia), she tours many places nationally and internationally for work, and offers phone and Skype consults. She also works in groups, on stage shows and in events such as MBS Psychic Fairs & Spiritual Churches. She was Crystal Light Church president for a year. She beautifully blends polarity within her craft: the commercial with the Spiritual, the predictive with the enlightened and empowered. Advocating to never lose the essence or purity!